I see a humungous shelf of books, identical on the outside. Large, hardbound deep royal blue volumes, all lined up on extensive shelves. They are neat, dusted, and clean, giving an impression of solidity, erudition and seriousness. Very few of them are ever opened. Like many a set of encyclopedias, they are more there for looks and occasional random browsing. However, since the advent of internet search engines, they are largely obsolete. It seems that, despite their meticulous care and alignment, they are rarely removed from the shelves. There appears to be one exception. 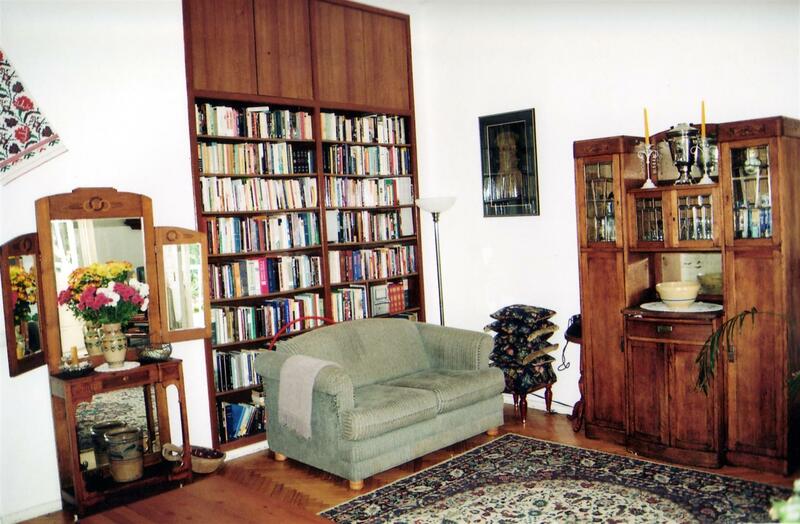 See, apparently, there needs to be more shelves, and more books to put them on. Ostensibly, this is to increase knowledge (or whatever benefit is derived from this huge collection of identically bound tomes). But it’s far from clear that adding more of them will yield such results, since the books already on the immense shelves don’t seem to be educating anyone. But a select few are occasionally taken out and shown to other people as being, in some sense, exemplary. You see, every person, every human individual, has their own unique book. Some are thick, some thin, some hardbound, some paperback, some even in the form of scrolls or other odd formats. People are shown the royal blue volumes and encouraged to discard their unneeded books and take instead one of the identical books and donate them to the “library” (or whatever one would call the dust-free shelves holding them). While typically simply displayed at an arm’s length, a few are being used almost as weapons to knock the deficient smaller books out of people’s hands, perhaps as an inducement to abandon them. Some of the more aggressive use the heavy blue books to actually beat potential “book donors” to convince them to give in. However, this “offer” is not made to all… those carrying the heavy volumes from the shelves seem to have some sort of selection process which indicates that the owners of certain books (or types of books?) don’t need to be engaged at all… perhaps they know somehow that they won’t go for the deal. Perhaps some of the books that people hold are seen as subversive, dirty, dangerous, perverted, unsafe… it’s not clear why, but this “book exchange” is only selectively – VERY selectively – pursued. When people acquiesce, their old books become redundant and are exchanged for heavy encyclopedia-style volumes, which are placed next to more identical volumes on a shelf built specifically for vast quantities of them. The shelves are strong and sturdy, meticulously engineered and protected. 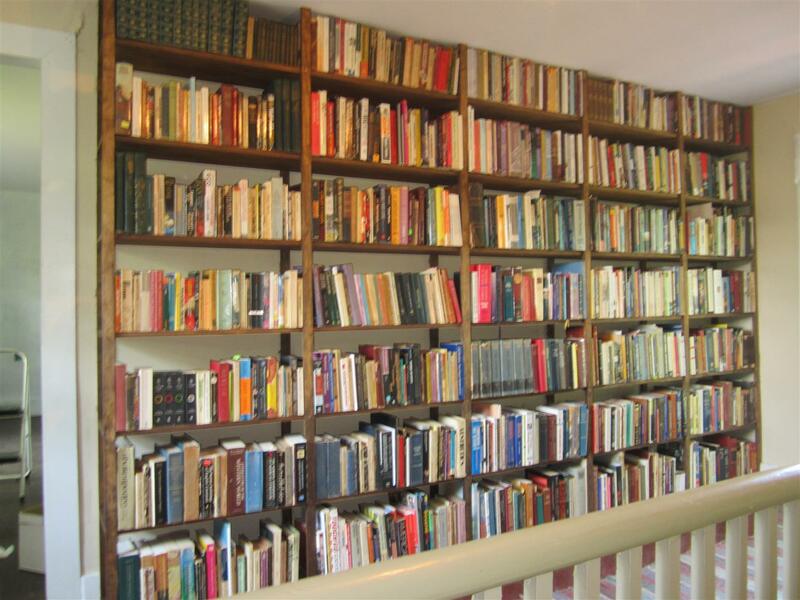 What happens to the old dog-eared paperbacks and parchments isn’t clear… perhaps the content is somehow retained, but because the “new” volumes are quickly assimilated into the anonymous mass of books on the shelves, one would never know. However, there is another approach to books. In something like a book club or reading circle, some people are circulating their own books among the population. They encourage other people to read their own, and each other’s, books. They open their books – clearly not only unique but idiosyncratic – and relate parts of them to others. This encourages others to read and share from their own books, even looking into some passages which are hard to read, whose pages are stuck together, sections which they have been told (or have not needed to be told) not to read… because they are not pleasant, edifying, interesting… there are hundreds of reasons. However, an interesting thing happens as members of this “mobile book club” continue to circulate, sharing their pages and taking the time to help others open theirs (as opposed to inducing them to trade them in). People begin to notice that inside the front cover of their books there is a bookplate. No one seems to be sure whether they’ve been there, unnoticed, all along, or whether they were somehow surreptitiously placed there. They are excited about the bookplates and show them to others. Not because anything in the content or format or external appearance of their book has changed. But because it is now clear that this book is NOT destined for destruction, but is, in some way, valued. No one puts a bookplate on a book only to throw it away or ignore it. 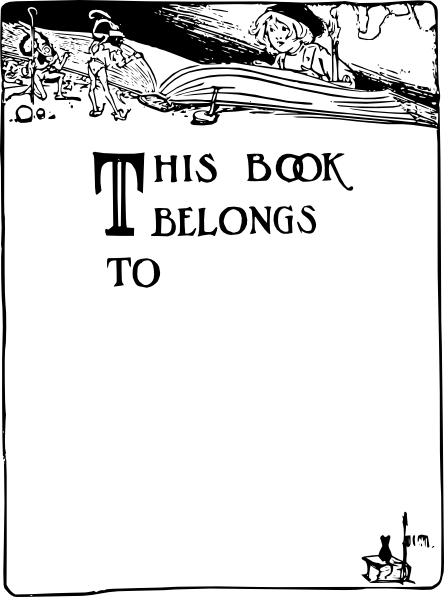 A bookplate indicates worth. I saw some of these bookplates. I expected to see the same name written on each of them. (Perhaps I am expecting to see something like “This book belongs to The Master Librarian” inside?) Instead, each one carried the name of the person to whom it belonged and belongs, the only one who could share it with others. Those whose books bear bookplates seem to become the best readers, those who share the most and the most joyfully. However, books so marked never seem to make it onto shelves. Certainly not onto the heavy-duty shelves housing the encyclopedias. Instead, they remain in circulation. They do what books were meant to do: they are read and shared. I want to see the picture above each name. Perhaps I do, if so, I cannot recall. I know that the picture on the bookplates is beautiful. And it is the same picture in every book I see, regardless of its thickness, format, aesthetics, binding, or apparent beauty. The books are the lives of persons. Each person has one. It tells of their victories and failures, joys and defeats. Some are adventures, others romances; some are simple, others complex; some are poetry, some are prose. Some are fairly straightforward, others full of tricks and surprises. Some have a lot of violence, depravity, and hurt. Others are like a walk in the park, breezy and serendipitous. But they all are worth reading, worth sharing. And when those whose books bear the beautiful nameplates are opened with others – when these books are read in a way that stirs the desire of others to open and share theirs, something amazing happens. The bookplates seem to appear all over the place, in the most unexpected of books. And, though each story remains unique to the person whose name is on the nameplate, the story seems to connect with the stories of others who are willing to share them. I wonder what the picture on those nameplates is. I am so grateful! Thank you for writing out your dream, Jim. You’re welcome, Diane. I was thinking about writing out what I saw as some pretty clear implications of it… But thought I’d leave it to percolate for a bit. Anyone want to share what they see? I can not get your prophetic dream out of my mind. It stirs me. Somehow it seems that the blue book club are the ones that trade their uniqueness and soul for conformity to something legal and orderly and solid and not dangerous. But the unacceptable “wildcards”, the truly unique and authentic books are fully in play, used, passed around, constantly being opened, vulnerable, exposed for all to see their content….and that is the beauty of it…. because they reflect the many facets of interest and desire of the one who placed the same bookplate in each. He saw value in them and marked them. And other books are being found and marked also. They are dog-eared and marred by constant use and exposure to others…but they stir up something…trouble to the blue books…but a sense of adventure to join in to the others. No unclaimed battered book is exempt from receiving a welcome into the reading circle or from receiving a bookplate….for the worth and value is only seen within the tattered covers which rarely give a hint to the true value, unless one sees that only books that are well loved and used become tattered. Sort of like the velveteen rabbit. Thanks, Lynn, for running with this. There is such value in each story, and in allowing diverse stories to interpret one another. It hadn’t occurred to me that the more a story/life is shared, the more it itself is marked in the process. I imagine that the people who are part of the mobile book club become so fascinated with the books they read that they start looking for books everywhere, especially in out-of-the-way places. They now know that in a jumbled thrift store, or in the “Free” section of someone’s garage sale, or on the clearance rack of life they might find the most amazing stories yet. Thanks, Kathy, for adding depth to the picture. What you imagine is precisely one of the deepest joys of cross cultural ministry. And one of the reasons we on the Catalyst Team are so enthusiastic about serving with those on the “margins”. Some folks figure it’s simply out of compassion… But, honestly, we are enthralled by the amazing “books” we find there.